Businesses and organisations across Carlisle joined forces on Saturday and offered their time and hard work to projects ranging from garden makeovers to fence painting as part of the ‘Give a Day to the City’ initiative in association with Carlisle Ambassadors. The initiative aims to make Carlisle a happier and better place to be, so it is a great place to visit, work and live. The initiative, backed by Carlisle Ambassadors encourages people and businesses to offer their time, skills and services to improve the life in the city. 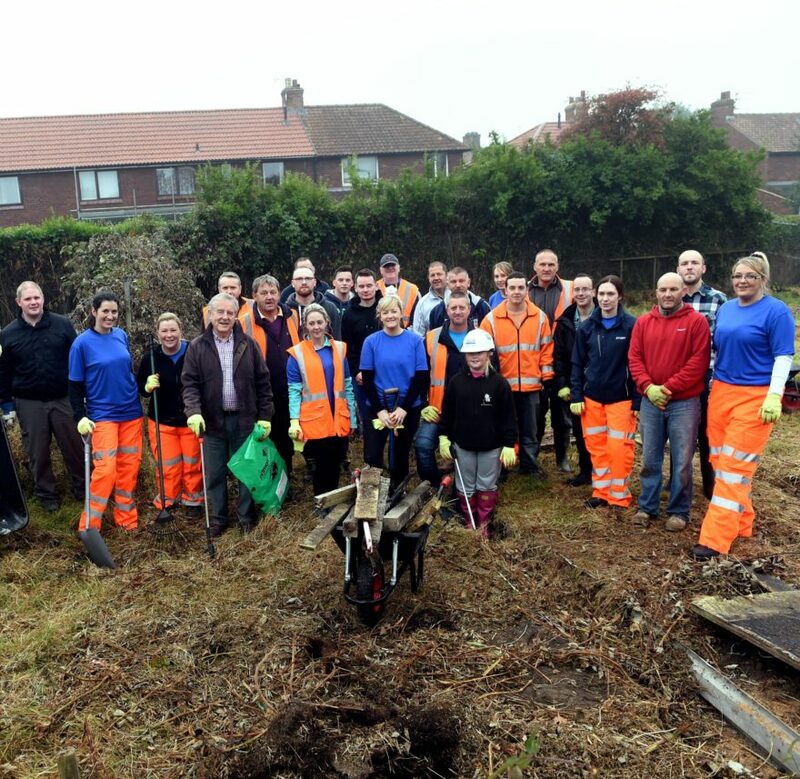 26 volunteers from Story Contracting and Story Homes including family members descended on a former allotment space in Harraby, Carlisle to undertake a remarkable clear up. 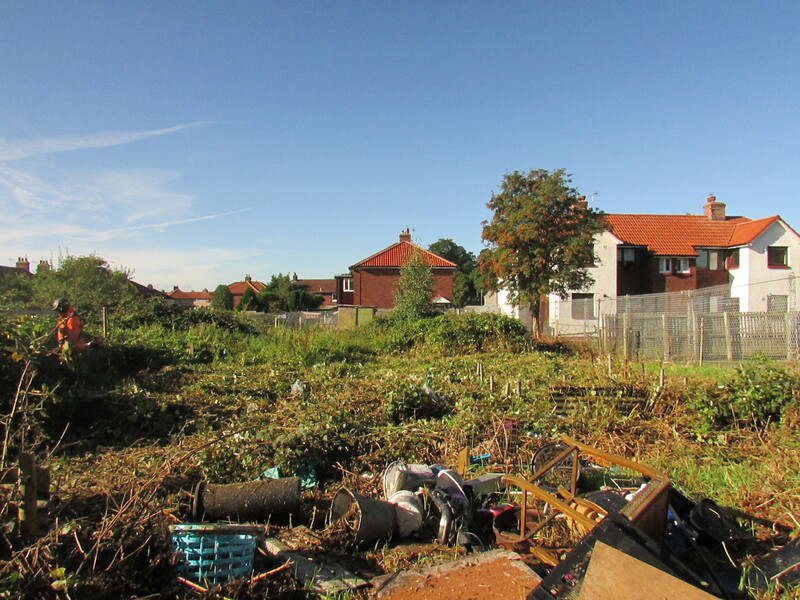 The green space situated at the back of Welsh Road had been abandoned as a usable allotment some time ago and the rubbish and waste was piled over 6 foot high. Eden Woodlands kindly offered their supported to the clear up project and began the devegetation process by going and cutting back the site making the site accessible to the army of volunteers. A big thank you goes to Mike Clark, from Story Contracting’s Rail division who carried out a CAT Scan on the site prior to the clear up starting which made sure the space was free of any buried cables. This project could not have got off the ground had it not been for Anouska Chisholm, Stakeholder Manager for Story Contracting’s Rail division. Anouska worked alongside external partners to plan and project manage our operation on Saturday morning as well as offering invaluable advice to other projects around the city. Brampton skips regimentally delivered and collected six full skips which were tirelessly filled with waste and vegetation during the course of the 4 hour morning before 2 Story Mini Diggers from Story Plant department came in to help flatten out the land. 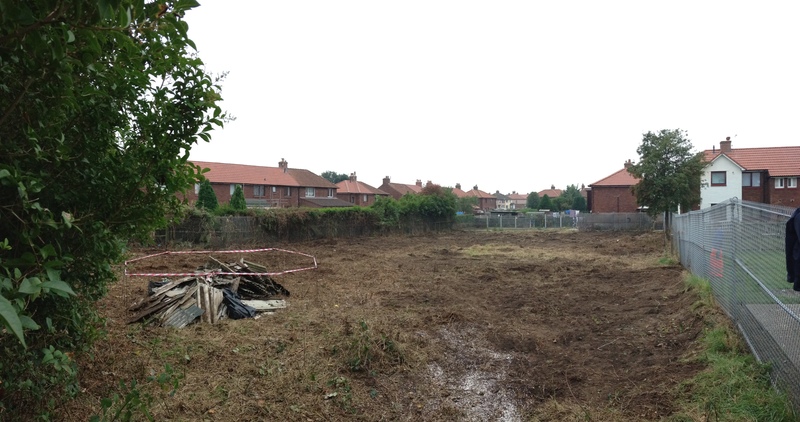 The land has been handed back to the local authority and phase two of its reinstatement will involve it being rotavated so that it is ready for its future as a usable space.